Environmental Studies School - Louisiana Garden Club Federation, Inc.
Are you concerned about the environmental health of our world? Would you like to share a learning experience with like-minded individuals? If so consider enrolling in Environmental School. The "Living Earth" Environmental School is composed of a minimum of forty-four hours of study of specific units divided into four courses of eleven hours each. New officers being installed by Cindy Baucum, right. On Monday, July 16, 2018, at the LGCF Summer Board, the Environmental Consultants Council elected new officers for the 2019 – 2021 term. Seated from left to right are the incoming officers: Jean Gilstrap (President), Gwen Lanoux (Vice President), Patsy Hebert (Recording Secretary), Margo Racca (repeating as Treasurer) and Georgie Petitjean (Parliamentarian). These officers, including the Historian, were elected by acclamation. Earlier in the meeting, the Council had voted to abolish the position of Corresponding Secretary, a nod to the electronic communications world in which we live and work. Standing left to right, Joe Baucum (outgoing President), Jan Lamoine (incoming Historian), Cindy Baucum (outgoing Recording Secretary), and Donna Bucci (outgoing Historian). Not pictured was Linda Brashier (outgoing Parliamentarian). The newly elected officers will take office during the LGCF 2019 Convention. Joe Baucum praised the outgoing officers for the superb work that they had so willingly accomplished and challenged the incoming officers to perform at their very highest level for the sake of the environment, society, and the Louisiana Garden Club Federation. Pictured are Joe Baucum, Gene Cavalier, and Lena Bateman. 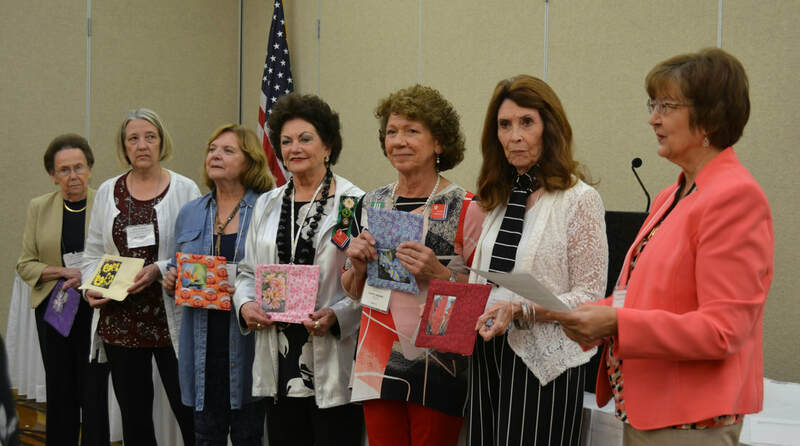 At the 2018 Convention of Louisiana Garden Club Federation, the Environmental Consultants Council (ECC) hosted the luncheon on Tuesday, April 17 with approximately 75 LGCF members attending. Included in the participants were National Garden Club President Nancy Hargroves, LGCF President Lena Bateman, and LGCF President-Elect Linda Finley. Joe Baucum, President of ECC, presided over the luncheon and involved many members in the process. Gene Cavalier, animal biologist with the Louisiana Department of Agriculture and Forestry, presented a 45-minute talk on "The LDAF Feral Swine Control Program" and did so in a spectacular manner. Gene knew his subject matter well, was passionate about his delivery, used a bit of humor to make his salient points, and was extremely well received by the participants. The audience seemed intimately interested in the presentation and some had personally experienced significant crop and profit loss due to the invasion of feral swine. A few of the audience members had never heard of the problem, were shocked at the economic losses fostered by the feral swine, but were relieved to know that state agencies such as LDAF are combating the issue. Altogether, Gene Cavalier came across as an excellent spokesman for his agency and accomplished a major community service with his educational and outreach presentation. In his remarks to the audience, Joe Baucum cited an extremely productive year for ECC, giving much credit to Gwen Lanoux and Patsy Hebert for their highly successful Course II of Environmental School that they conducted in Abbeville (Palmetto State Park). Joe stated that they had superb speakers, a wonderful venue, an excellent agenda, and gracious accommodations. Joe thanked Yvette Hebert, 2018 Convention Chairman, for allowing ECC to host the first-day luncheon and Julia Gilmore, LGCF Protocol Chairman, for her layout and organization of the luncheon. Joe also thanked the Moreauville Garden Club for the gorgeous table decorations and guest favors. Lastly, Joe praised the ECC officers and members for their active support and vitality during the past year. Abbeville Garden Club and LGCF District III Hosted a Highly Successful Course II of the NGC Environmental School. On March 13 and 14, 2018, the Louisiana Garden Club Federation (LGCF) conducted Course II of its Environmental School in Palmetto Island State Park, Abbeville, Louisiana. The purpose of the school is to produce Environmental Consultants and Master Environmental Consultants who can return to their garden clubs and their respective communities and educate the garden club members and the citizenry on environmental issues. Gwen Lanoux (LGCF State Environmental School Chairman) teamed with Patsy Hebert (LGCF Local Environmental School Chairman) and other members of Abbeville Garden Club and District III to produce a wonderful school. According to Joe Baucum, President of LGCF Environmental Consultants Council, "Gwen, Patsy, and their team members did an excellent job of planning and executing Course II of the Environmental School . Their speakers were superb, their agenda was extremely well organized, and their hospitality was unmatched. They opened their doors to outsiders such as Master Naturalists --- which we should do more often. I will forever cherish my certificate of attendance and my participation in this very educational and memorable course." The picture shows the 26 students --- including LGCF President Lena Bateman --- focused on the words and projected images of the well-selected and very knowledgeable speaker. Good job, Gwen, Patsy, and Team! The Attached Excel Document displays the LGCF Environmental School Roster, updated as of January 2019. Non-member Roster, as of January 2019. 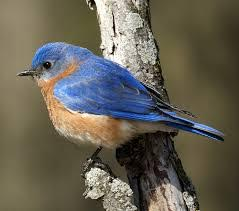 To teach environmental literacy to cherish, protect, and conserve the living earth. "The Living Earth" Environmental School curriculum was created by National Garden Clubs, Inc. to bring together garden club members from across the country who are seeking to become better stewards of our natural environment. It provides an in-depth understanding of the elements necessary for our survival and the challenges facing their sustainability including environmental science, water conservation, air pollution, land conservation, and endangered species by explaining their value. The LGCF Environmental School is typically offered in back-to-back, two-day courses offered over a consecutive four day period. For example, Course I is offered during the first two days, and Course II is offered during the following two days. Then, Courses III and IV are offered during another four-day period in about six to eight months. The entire school can usually be completed well within a one-year program. The National Garden Club encourages the completion of all four courses within a two year period. At the end of each course, there will be an open-book multiple choice exam given. After completion of two courses, the student will have attained the status of Environmental Consultant Provisional. This qualifies the student to join an Environmental Consultants Council while completing all four courses to achieve the full designation of Nationally Accredited Environmental Consultant. The National Garden Club's accredited program does not require one to complete the courses in order. I pledge to protect and conserve the natural resources of the planet Earth and promise to promote education so we may become caretakers of our air, water, forests, land and wildlife.